Batesville’s crown jewel was completed in 2017. This facility features a 25,000 sq. ft.gymnasium for athletic and community events. 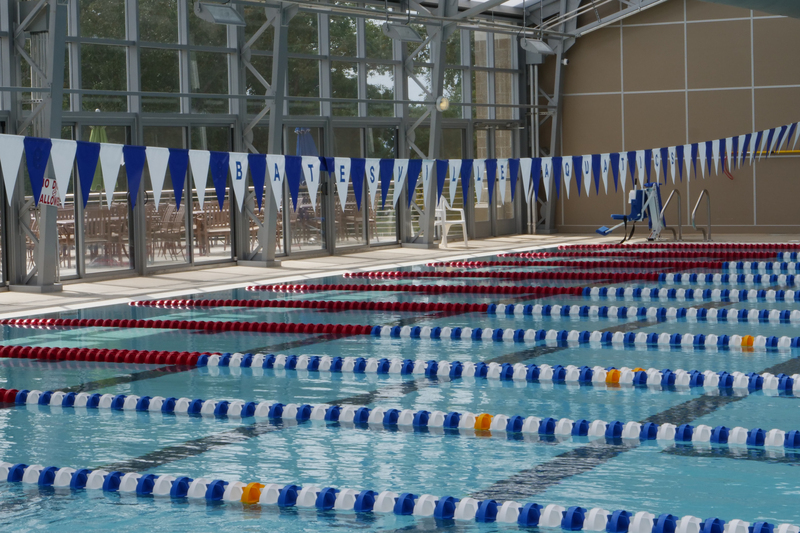 The indoor aquatics center features a 25 meter x 25 yard competition pool, zero depth entry children’s pool and a zero depth entry heated therapy pool. The East Main Soccer Complex is the center of the developing soccer culture in our area. Nine Bermuda turf soccer fields mainly play host to the Batesville Youth Soccer Program, allowing various Travel Soccer Teams and even local NAIA college matches to utilize the facilities. The fields are in use from late Winter through late Fall with both Spring and Fall with city managed soccer leagues. Concessions and handicap accessible restrooms are available to accommodate your needs, whether attending a quick game or a weekend tournament. Not involved in a contest, get some exercise on the ½ mile walking track that encircles the fields. Come enjoy the kicking atmosphere! 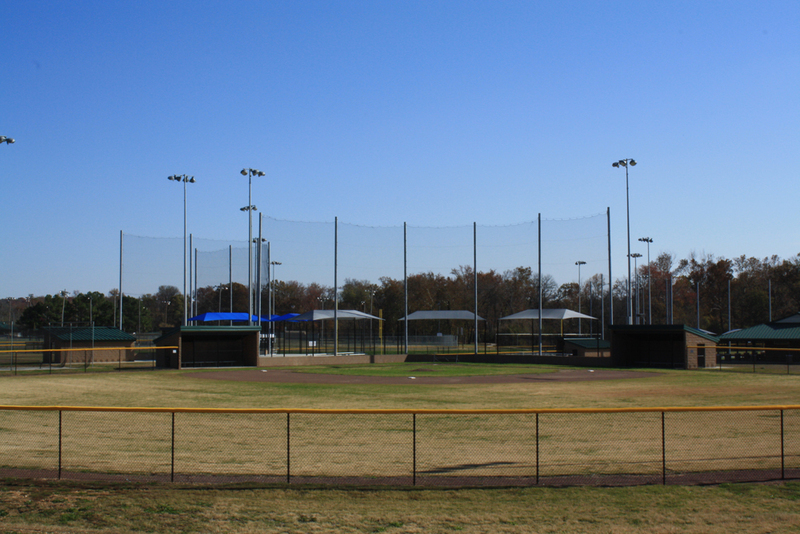 This complex contains seven dedicatedbaseball fields, two dedicated youth softball fields, two baseball/softballfields, three dedicated adult softball fields or three T-Ball fields to suityour needs. Two concession stands and bathrooms are located on opposite ends ofthe complex to provide convenience for whichever park you are attending. Here is Batesville baseball at it’s finest. 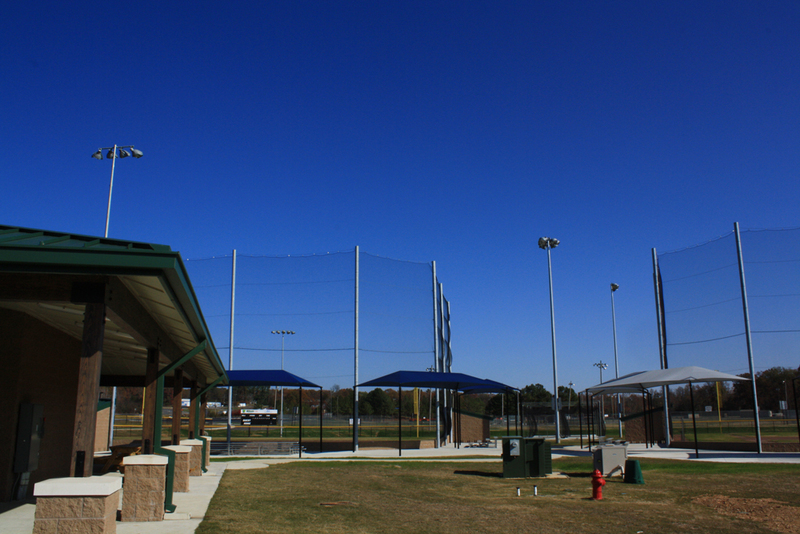 Seven dedicated baseball fields are set to accommodate your needs with three separate, practice batting cages. Designed with the colors and layout replicating MLB parks, show your allegiance and choose from Chase Field, Wrigley Field, Fenway Park, Minute Maid, Comerica, Busch Stadium and Yankee Stadium to fit your style. All parks are sure to please for spectators and players alike as there is not a bad seat in the house. Concessions and handicap accessible bathrooms are located in close proximity to all the fields for your convenience. Field 2 – baseball 90ft base paths, 60ft 6 in pitching rubber, and 375 ft center field. Stroll onto these two dedicated youth and two baseball/softball fields and soak in the tradition of Batesville softball greatness. Championship plaques are placed between fields to encourage competitive, hard-fought team play. The four fields quarter, conveniently to each other, creating a wheel with the bathrooms and concession serving as the hub for most of your non-softball needs. Every adult wants to relive their athletic glory days, three dedicated adult softball fields will do the trick! With concessions and bathrooms a short ways away, spectators won’t miss a bit of the action. The durable Bermuda grass turf will stand up to the toughest test for the most active adults. Fences in challenging but Home Run inviting distances are sure to have everyone “Swinging for the Fences”… so take your best shot. The beginnings of baseball and softball careers can be made here at the 3 T-Ball fields, 1 of the fields is large enough to accommodate U10 softball. Kids experience the feel of big time baseball, but in a close, intimate atmosphere. Grass outfields and gravel infields make for easy and uniform surfaces for introducing basic skills. It all starts here. All fields include adjustable pitching and base length with 150 ft fences. For information about the various park facilities or hosting a tournament, please contact the Batesville Parks and Recreation Department at 870-698-2427 or visit their website here.